Are You in Need of Moving or Storage Services in Hinesville? A.C. White has been providing residential and commercial Hinesville customers with quality moving services for nearly a century. Since opening in 1926, our business has been dedicated to providing clients with affordable and efficient relocation services. We are a family-owned company that has an excellent customer service track record, something we have continually striven to excel at for four generations! Personalized moving is what separates A.C. White from our competitors. Regardless of the size and scope of your needs, we are available every step of the way to ensure your move is completed successfully and on time. A surge in residential and commercial opportunities in the Liberty County area makes our Hinesville location convenient for every homeowner and business in need of local moving services. Our business has recently undergone a major transition to promote eco-friendly transportation operations, including a strict “no idling policy” on every company vehicle, condensed work weeks for our staff, continued encouragement of employee carpooling and mass transportation. We feel strongly about corporate environmental responsibility and are consistently exploring new ways to reduce our footprint while at the same time promoting efficient Atlanta moving practices. Get in touch with us today to receive your free quote for moving in Hinesville! Many major corporate firms have relocated to Hinesville, so that naturally increases the demand for top-notch moving services. 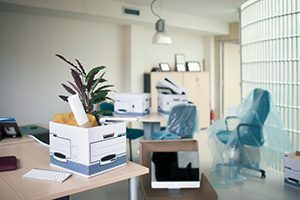 Our company is the most experienced in the region as we have helped hundreds of businesses relocate their offices in a timely and efficient manner. In addition to transporting your building equipment, our movers will also clean the old premises and set up the new space so you don’t have to! Find out more about commercial moving services in Hinesville! A.C. White knows professional storage is often a necessity for business owners. You can rest assured that with us, you will receive the best storage service in Hinesville. 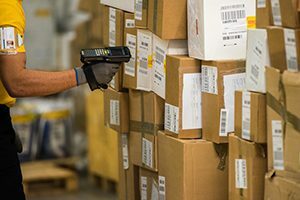 Our state of the art storage facilities include reinforced concrete and steel construction, bar code scanning technology, burglar protection, liability insurance, asset management services and multiple loading docks for convenient transport. Moving to a new home is a stressful undertaking no matter how prepared you are. 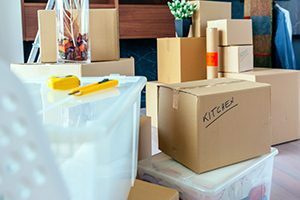 The last thing you should have to worry about is hiring a moving company that is not going to handle your personal belongings with the utmost care. Entrusting a stranger to pack and transport your valuables and family heirlooms is a big deal, which is why A.C. White puts customer service as our top priority. We have years of experience under our belt and the resources needed to facilitate your residential move. Ours is one of the oldest moving businesses in the state, and we stand by our commitment by letting you observe the move with a 24-hour tracking service. Learn more about our residential moving services in Hinesville. A.C. White is proud to serve the Savannah area, including, but not limited to: Brunswick, Fort Stewart, Garden City, Hinesville, Pooler, Richmond Hill, Rincon, Savannah, Statesboro,Thunderbolt, Tybee Island, and Wilmington Island. 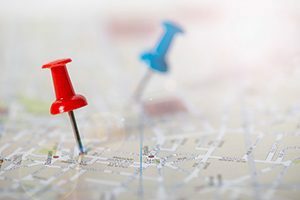 Our service range includes but is not limited to customers within the following zip codes: 31401, 31402, 31403, 31404, 31405, 31406, 31407, 31408, 31409, 31410, 31411, 31412, 31414, 31415, 31416, 31418, 31419, 31420, 31421, 31498, 31499.